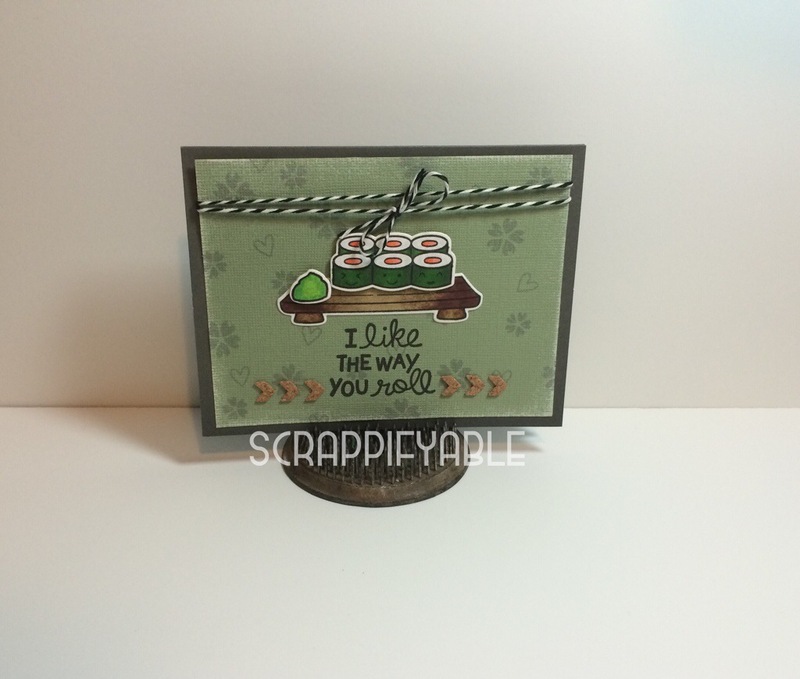 My friend loves her healthy dose of sushi…so for her birthday I decided to use the Lawn Fawn Let’s Roll and Hats Off To You stamp set. 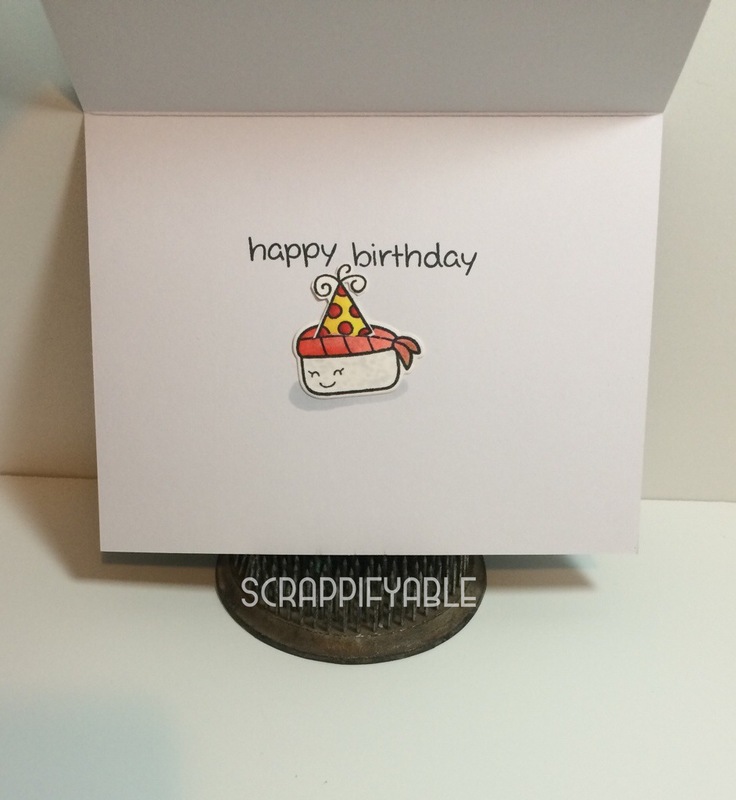 I had one extra sushi roll cut out that did not quite fit in the front portion of the card so I decided to add it inside. I cut a straight line across the top of the sushi cut out and inserted the hat through with a pop up dot for added dimension.